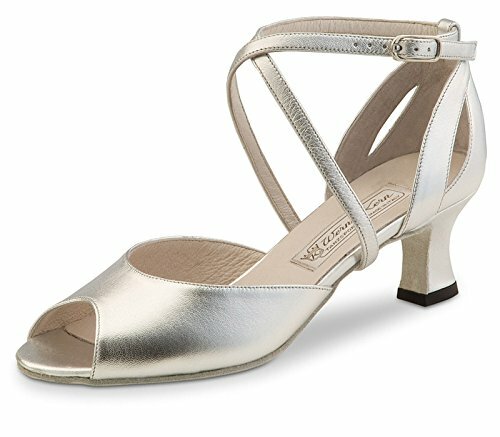 Enticingly comfortable Werner Kern Model Tiziana Chevro Silver Leather Strap dancing shoe. The exceptionally beautifully shaped heel is particularly captivating with its front made of the very softest suede leather and elegant toe opening. The shoe has individually adjustable crossed instep and heel straps offering a perfect and extremely comfortable fit as well as its captivating appearance. Soft glove-quality and exclusive suede leather, embellished with precious rhinestones, providing a particularly gentle and supple fit.